HMRC has issued Spotlight 38: VAT: supply splitting tax avoidance schemes. This features a scheme which attempts to avoid VAT by splitting a single supply of goods or services into separate supplies. Multiple suppliers are used when the same elements could have been provided by one supplier. The customer is not able to decline one of the individual elements, i.e. they are obliged to take all of the elements from the separate suppliers. HMRC are urging those who think they may have arrangements covered by this spotlight to review the rules on single and multiple supplies and take action accordingly. HMRC warn that where cases of VAT supply splitting have taken place, they will challenge these through the courts and apply the ‘Halifax abuse principle’ where appropriate. Goods or services for VAT? 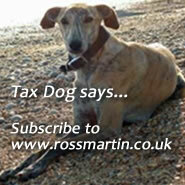 HMRC's spotlight can be found here. And we run our Virtual Tax Partner support service, if you need assistance with a particular query or technical issue.